Support Solutions That Never Let You Down. Infradapt’s Managed IT Services solution focuses on maintaining our clients Computer, Server, and Voice networks so that clients can focus on their core business. Best of all, with our flat rate (fixed price) plan, your support is unlimited and you won’t face unpredictable costs or nickle-and-dime charges. Built into every one of our Managed IT Services plans is a review, audit, monitoring, and forecasting process that allows us to proactively defend against downtime and anticipate problems before they happen. In addition to our various fixed fee or flat rate service plans, we also serve different infrastructure models, simply described as Premise, Hybrid, or Cloud. Managed IT Services Premise is designed to meet the needs of our customers who prefer an operational environment that is wholly on-site. Managed IT Services Hybrid, allows clients to introduce cloud elements into their organization according to a gradual and customized schedule. Finally, for our InfraCloud customers, we provide Managed IT Services Cloud, which supports all of our client’s Premise-Based infrastructure while simultaneously maintaining their Cloud-Based resources, applications, and data. Our InfraPremise offering can include hardware and software upgrades, monitoring, and real time alerts while our Hybrid approach can deliver Disaster Recovery, SIP protocol capabilities, carrier redundancy, and more features that can prepare for an organization to take advantage of Cloud-Based services and benefits. 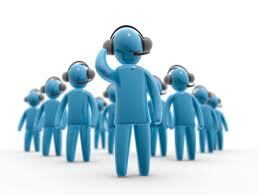 Managed IT Services for InfraCloud provides complete peace of mind with maximum flexibility. Infradapt’s hosted platform solutions are monitored for high-availability 24/7 and designed with operational resilience in mind. Additionally, all hosted infrastructure solutions include full access to Infradapt’s 24-hour help desk and operations center so you’ll never have to worry about where to get help when you need it. Infradapt’s Managed Services Total Support solution is structured to reliably deliver up-time and contain technology spending. Using preventive maintenance, monitoring, and best-practice management methods to support your operation, as well as built-in hardware and software “refreshes”, Infradapt is able to offer this solution for a fixed fee. The result is predictable and reliable performance. Total Support service plans are available for InfraPremise solutions designed to our clients who prefer to retain all of their IT assets in-house and on-site; Total Support service plans are also available for our hybrid solutions to clients who wish to introduce cloud services at a measured pace while retaining a significant on-site infrastructure. In addition to traditional IT offers, Infradapt developed InfraCloud our Cloud-Based Fixed Rate offering and InfraPremise our Premise-Based Fixed Rate and comprehensive offers that include all hardware, software, and services to satisfy your specific needs. Unlike other companies that only broker or resell third party cloud services, Infradapt manages our own distributed cloud based infrastructure made available to all of our customers, in addition to third party public cloud services. The more Infradapt infrastructure services you use, the more you transfer the risk associated with IT to Infradapt. InfraCloud is fully protected with: Redundant Internet, Fire Suppression, Redundant Power, Redundant HVAC, Physical Security, Data Backup, Dust Control and much more. Contact an Infradapt Solutions Specialist online or call 1-800-394-2301 to explore how Infradapt can optimize your data and communications infrastructure and maximize your company’s productivity.